You might be wondering what exactly we mean by “Curb Appeal.” Curb appeal is the general “attractiveness” of a house or property. It can help with enjoying the house more and, eventually, selling the house if you so choose. Curb appeal can also improve the overall attractiveness of the area you’re living in, so think of it as a community service as well. Proper landscaping can really boost your curb appeal, but it needs planning and ingenuity. The Atlantic Maintenance group is here to help! We’re here to give you some hot tips on landscaping so that you can turn your yard into an awesome getaway. Let’s check them out! 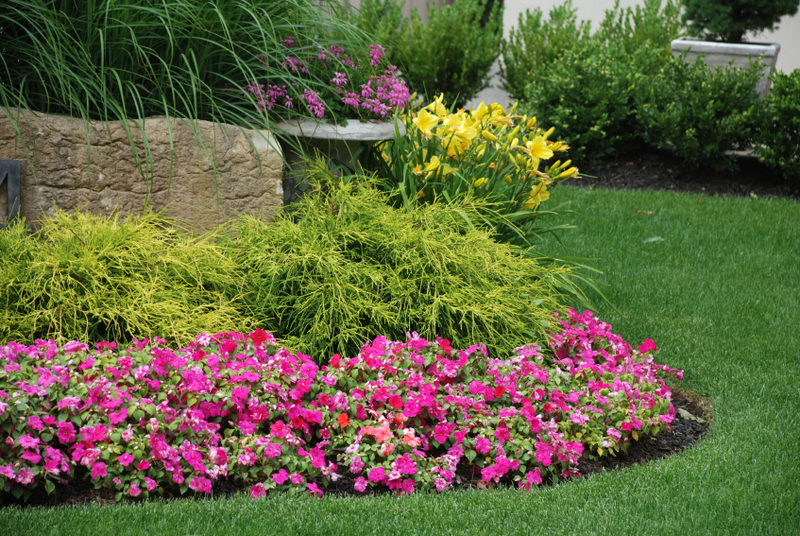 Whatever plants and features you choose to have put into your yard, you need to make sure they can be maintained. If you want to hire people to maintain the land for you, then you can go all out. If you want to prune and weed yourself, then you might have some complications down the line if you aren’t skilled at gardening. If you don’t think you can afford to hire someone to perform maintenance, but still want a cool landscape, then have easy plants planted. Some plants do not require a lot of effort to keep them looking great. You will still need to head out into the yard to make sure excess leaves and debris are cleaned periodically. Looking good takes a little effort, but the beauty you will enjoy is worth it. Where you plant your new landscaping features is going to make a huge difference. One of the best places to add a little flair is in the front yard. You can create an awesome entrance way using hedges, bushes, or trees. You can also have a few plants around your mailbox to give it a little pop. Now, the backyard is going to need to be planned properly because you need to blend color and form, but we can help you plan according to the property. Make sure to consider the style of your home before planning any major additions to your landscape. This entry was posted on Sunday, May 3rd, 2015	at 7:41 pm	and is filed under Landscaping Design	. You can follow any responses to this entry through the RSS 2.0	feed. Both comments and pings are currently closed.